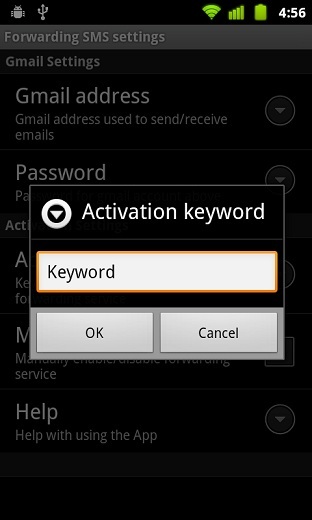 Follows these steps to activate the service on your Android smartphone. Step 1. 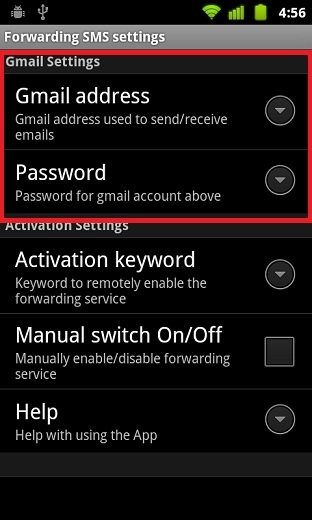 Download and install SMS2Gmail from here. Step 2. Now run the app and enter your Gmail username and password. Step 3. Set up an activation code by taping Activation keyword.